A medium-sized finch. Male is easily identified by blue-grey head, chestnut back, pinkish breast and 2 white wing-bars. 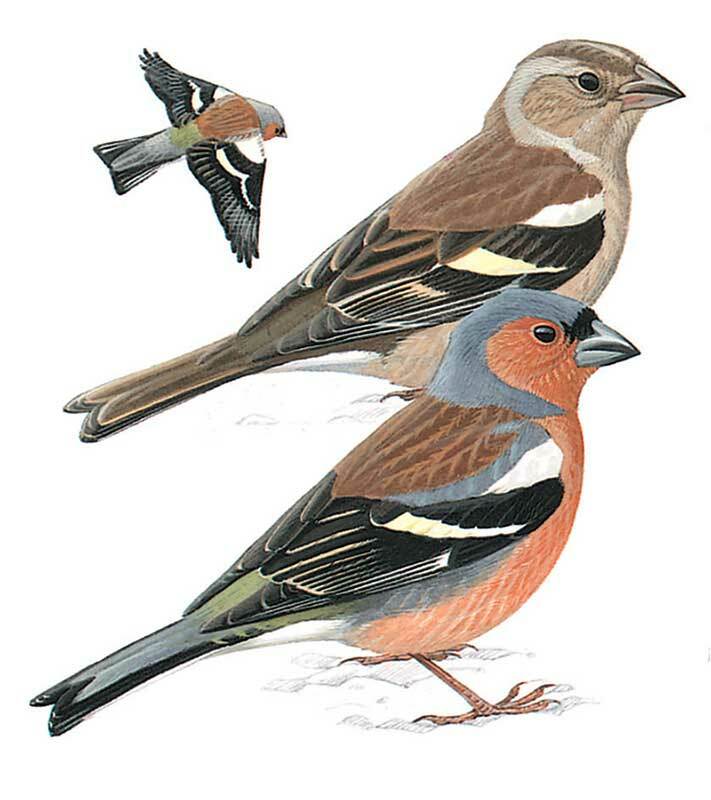 Female is more nondescript but can be told by white wing-bars, white outer tail feathers and brownish to olive brown upperparts. Undulating flight with wings closed every few beats. Feeds mainly on ground where it moves rather jerkily.